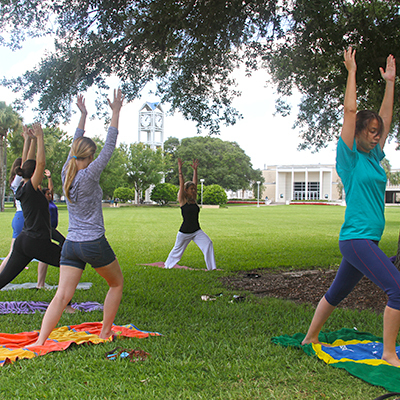 Come celebrate Earth Day with an Earth Element Yoga workshop on Monday, April 22, from 12:30-1:30 p.m. in the Instructional Center, Building 9, Room 101. In this workshop you will learn a practice that help ground and connect you on and off your mat. All levels are welcomed. For more information, contact Lori Witkowich at witkowil@cf.edu, or ext. 1247. This workshop hosted by Lori Witkowich/Karve Endowed Chair.